Travel to St Petersburg Russia: Find Out the Best Way to Get There! 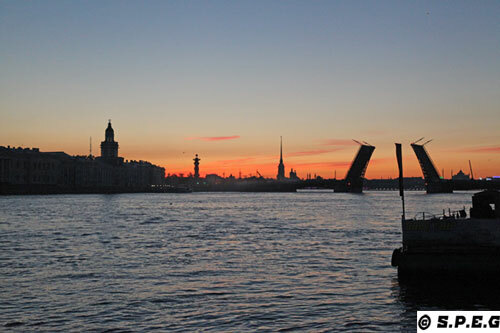 Wondering how to travel to St Petersburg? If so, you are in the right place. Just keep reading below. Photos from St. Petersburg, Russia. Being one of the top destinations in the world and Russia’s primary tourism destination, Saint Petersburg is the most accessible and open Russian city thanks to its proximity to Europe. That's why it is also called Russia's window to Europe! Today, there are many ways to reach the city of Peter the Great. You can travel to St Petersburg by car (slow and uncomfortable, but adventurous); by plane (cozy and fast, but expensive); by train (convenient and fascinating, but not very cheap); by bus (cheaper and fascinating, but slow and not as handy as the train); and by ship (visa free and entertaining, but expensive, slow, and limited). The cost of your trip to Russia may depend on how you decide to travel to St Petersburg, your favorite travel style, and of course where you come from. Surely, you can find a way to save some money if you are flexible and plan your Russian trip in advance. However, before jumping on board your flight, or take the bus or the train, make sure you have a valid passport; have bought a travel insurance; booked your hotel or apartment; and have applied for a Russian visa, if you need one of course. Remember, without a travel insurance, a hotel/flat confirmation, and a valid passport, you won't be able to put your feet on Russian soil because these documents are required for the visa application. To help you with the planning of your trip, we have created this page with all the information you need to know to get to Russia's Northern Capital. It is all at your fingertips! To get started, just click on one of the travel options below. Flights to St Petersburg are a good starting point for discovering Russia's historic window on the west. Travelling by air is faster and comfortable, and it can be also not so expensive if you start searching a few months before you go. Doesn't matter where you come from, our city is well connected with almost all the main airports in the world, so it won't be difficult for you to find an airline company flying there. If you don't fancy travelling by plane you can always go by train. It won't be as quick as the plane, but surely it will be faster and interesting, and definitely more convenient than the bus. The Russian rail system is one of the largest in the world, and Russian trains are efficient and well connected with almost every European Capital, so it won't be difficult for you to find a train going there. In the event trains and airplanes are not your cup of tea, or you are on a tight budget, then taking the bus would be your best option. Going to St Petersburg by bus can be cheaper but slower, and relatively comfortable. There are a few good bus companies to choose from. Many of them offer travel routes with departures from all the main European Capitals, and those I like to recommend are very efficient. Travelling on a cruise ship is a completely different travel experience than going by plane, bus, or train. On board you can sleep, eat, relax and enjoy romantic sea views, but unfortunately your visiting time in the city will be short and limited. Since 2012 almost everyone can travel to St Petersburg on a ferry or a cruise ship Visa Free, if you comply with the Russian rules. Travelling to St Petersburg by car is not something we really like to recommend as it is a long and uncomfortable trip, and it can also be dangerous if you drive at night. However, despite that some people do it. If you're one of them, I hope you are an adventurous person and you're ready for any inconvenient. Roads and police in Russia are legendary (for being bad) and this myth is still true up to now. You should know that the majority of people going to Russia must hold a Russian visa in order to enter the country. Of course there are some exceptions for some countries, but just a few. In the event you are among those who must apply for visa to Russia, here you can find all the information you need to know.